Suitable for hard and soft wood. Easures clean equal sized chips and longest possible time. Angle of cutting edge: 26° to 40° as per type of machine and sort and condition of wood. Selection of the highest quality raw material with state-of-the-art heat treatment process. Through hardened and triple tempered steel will maximize knife life while providing consistent,clean cuts. 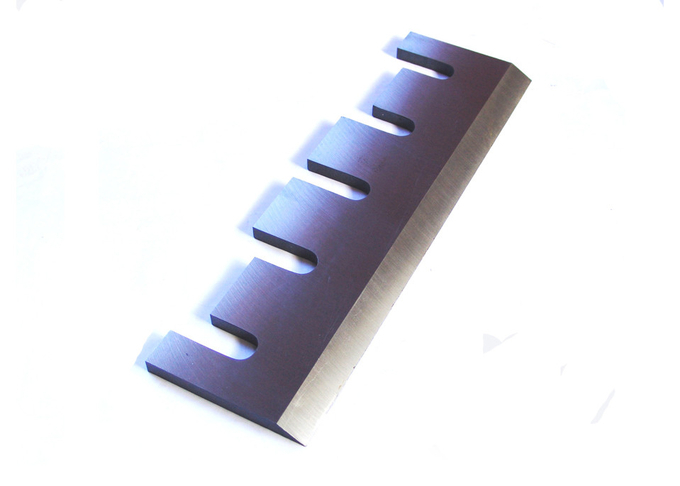 The Chipper Knives are manufactured from carefully selected materials and quality heat treated to ensure best performance from chipper knives. Precision ground, honed and straight cutting edges. Alloy steel tipped, full alloy steel & HSS inlaid varieties.